This student knew he was going against the grain when he challenged a speaker during a social justice lecture. But he never imagined it would threaten his dream career as a physician. Now, he’s been suspended from the school with little hope of returning. Kieran Bhattacharya, a second-year medical student at the University of Virginia, was suspended for allegedly becoming “unnecessarily antagonistic and disrespectful” during a panel lecture on microaggressions. Bhattacharya asked a series of questions during the Q&A portion of the event that eventually led to his suspension. Published on SoundCloud, Bhattacharya has released audio recordings of both the classroom incident and the disciplinary hearing. As can be heard in the recording, beginning at the 28:44 minute mark, Bhattacharya’s questions call out one of the speakers for apparent contradictions. You can find his recording published here. During the interaction, Bhattacharya began by thanking the panel, and then set out to clarify one of the female speaker’s points. He asked whether someone needs to be a member of a marginalized community to be the victim of microaggressions. When the speaker said this wasn’t the case, Bhattacharya responded that in fact she had said just the opposite during her presentation. Bhattacharya then launched into more questions on the definition of microaggression, asking several follow-up questions to get to his point. Eventually, the speakers moved on to answer other students in the room and the event ended without incident. 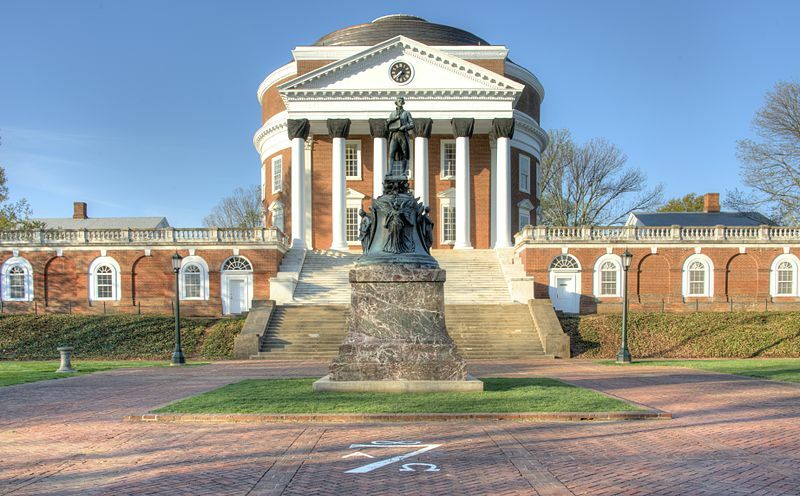 Bhattacharya reports he was later summoned by the University of Virginia’s Academic Standards and Achievement Committee for review. The hearing lasted 30 minutes, with Bhattacharya repeatedly asking what about his behavior was incorrect. He says he was criticized for his decision to record the lecture, and repeatedly told that “this aggressive, threatening behavior” must be changed. After repeatedly asking for examples of his unprofessional behavior, one committee member suggested his decision to record the meeting was an example. Bhattacharya’s recording of the ASAC hearing can be found here. During the hearing, Bhattacharya also raised his concern against an apparent requirement that he seek a psychological evaluation before returning to classes. CAPS refers to the Counseling and Psychological Services at the University of Virginia. The events of the hearing are also detailed in a statement he released on Twitter. Bhattacharya further claims that the university refuses to process his suspension appeal. What i do not realize is in fact how you’re now not actually much more well-preferred than you might be right now. You are very intelligent. You know therefore significantly with regards to this subject, produced me personally imagine it from a lot of varied angles. Its like women and men aren’t interested unless it’s something to accomplish with Lady gaga! Your personal stuffs excellent. All the time handle it up! What i don’t realize is actually how you’re no longer really much more well-appreciated than you may be now. You are very intelligent. You already know thus considerably relating to this subject, made me in my opinion imagine it from a lot of varied angles. Its like men and women are not involved unless it’s one thing to do with Lady gaga! Your own stuffs great. Always handle it up! What i don’t understood is in truth how you are now not actually a lot more smartly-liked than you might be now. You are very intelligent. You recognize thus significantly in terms of this matter, made me personally consider it from a lot of numerous angles. Its like men and women don’t seem to be interested until it is something to accomplish with Woman gaga! Your own stuffs outstanding. All the time maintain it up! and try to cared about the caliber of his paintings completely ignoring some time it will take to complete the task. Waterslide paper is offered in clear or white however clear is a lot more preferred, considering that any kind of unprinted locations around the image may be clear. It is maybe probably the most worldwide of mediums, in its practice as well as in its range. impeccable for any exercises linked with feasting room. ” Your Majesty, you’re invincible and hold the world in awe. It is maybe one of the most worldwide of mediums, in the its practice along with its range. cared about the quality of his paintings completely ignoring time it requires to accomplish the task. Matisse also took over as king from the Fauvism and was famous inside art circle. “Antagonizing” Questions During Social Justice Lecture | New Virginia Press <Liked it! This student should probably burn the administration building. An outstanding share! I’ve just forwarded this onto a friend who had been conducting a little homework on this. And he actually bought me breakfast because I discovered it for him… lol. So let me reword this…. Thanks for the meal!! But yeah, thanks for spending some time to discuss this subject here on your internet site.